While there are plenty of people who predicted the end of books, at least those printed on paper, when the internet came, that hasn’t happened. In fact, for those who love the feel of reading from an old fashion printed book, the good news this year is that the printed book is coming back in popularity. But while we all love those books; we also want them to stay in good condition for as long as possible. When it comes to mass market paperbacks, most of us will read them once and then donate them to the library or local thrift shop. But what about those older hardback books you have come to love? 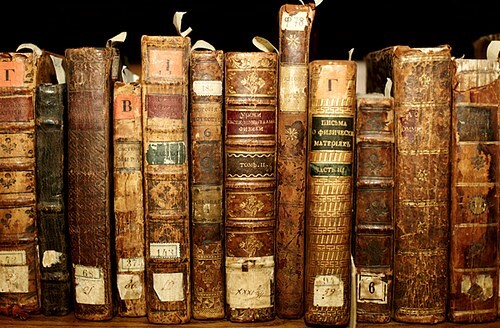 If you have books you want to keep, there are ways to keep them lasting longer. So, while you may want to sell textbooks online because you don’t need them anymore, vintage novels and old children’s books are another story. Here are a few tips to keep them in great shape so that your children and their children can enjoy them. Even for new hardbound books, it is always important to be careful of the spine of book. It can crack if you handle it harshly, opening the book until you are pushing the binding. With older books, there is often some actual stitching that holds the signatures of the books together. Each section or signature is bound, then the whole thing glued into the spine. When a book is getting older, that glue can becomes old and brittle itself. This is why it is always a good idea to hold the book cradled in your hand, with the spine protected from opening the book wide, which will cause fractures along the spine. Take care of the spine of a book and it will last longer even then you. That will make it well worth passing on with love and care to others. You should never store older books, or any books for that matter, near a heat source. Heat can destroy the glue in the spine, cause the pages to curl as it steals the moisture from the pages and make the cardboard in the cover stiff and brittle as well. While it is true that books stored in damp can be often covered in mildew over time, heat is also a big problem. Temperature, therefore, must be kept optimum and that is the reason books are often kept in special rooms called libraries. Not just the municipal libraries most of us know, but also in private library rooms that are neither too hot nor too damp for the books. So, a balance between dry heat and cold damp is imperative to preserve books well. Believe it or not books breathe. They will expand with dampness and contract with warm dry weather. Because of this, always be sure that you leave a bit of room with books and don’t pack them in too tightly. Stacking them up is a sure way to encourage damage, so shelf them correctly and loosely and give them plenty of room to mingle with each other without falling over. All of these will help you to keep your precious good books for a longer time and in great shape. Treat them well and you will soon find you are looking at a room of books that are more than just great companions, they are treasures to enjoy and pass on to others.